I was trying to think of a catchy way to start this post, but I am just going to go with the obvious. The Olympics are REALLY BRILLIANT. I was really lucky (after about ten attempts!) 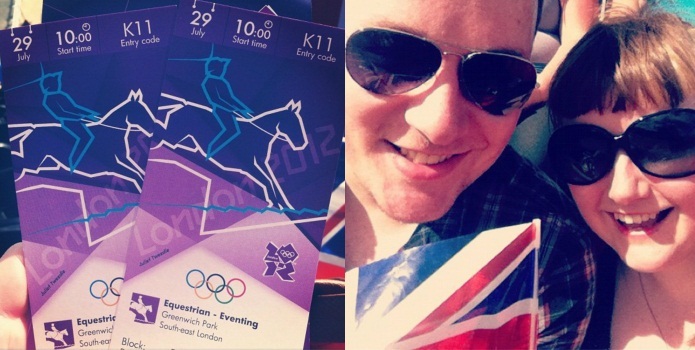 to get tickets to the Eventing, so Craig & I went down on the opening weekend. It was pretty much perfect! I thought the Opening Ceremony was wonderful (it was bonkers and fun and full of love for Britain, ace ace ace), and it was so exciting to be in London and be part of it. We were watching the Dressage (Craig called it horse prancing) which was in Greenwich Park so we stayed in the world's most expensive Travelodge the night before. Apart from extortionate hotel prices though it was SO easy to get down and travel round London. We didn't even queue once! The horses were BEAUTIFUL and it was incredible seeing so many horses and riders at the top of their game. The atmosphere was amazing too - all morning the stands were absolutely packed. We weren't allowed to make noise when the horses were entering the arena (in case they spooked), but everyone was buzzing after each test - especially after Team GB! The park was really beautiful. As it was the start of the three day event they had the cross-country set up, so we were able to explore the course and go up to the observatory. It was just amazing. Every person there was smiley and in a good mood - even during the brief thunderstorm that kicked in half way through the day. Britain finished the eventing with a silver medal (woop woop) and it was really brilliant watching the medal ceremony at home, seeing riders that we had watched in person only a few days before. Now I'm absolutely glued to the tv and can't get enough of it. How amazing has it been? The athletics! Andy Murray! Being third in the medal table! Team GB! I think that I am as jealous as anyone could be. I loved all of the pictures. When I saw the one of the large chess board I thought "When did life size chess become an olympic sport!". Ahh I am so so jealous! 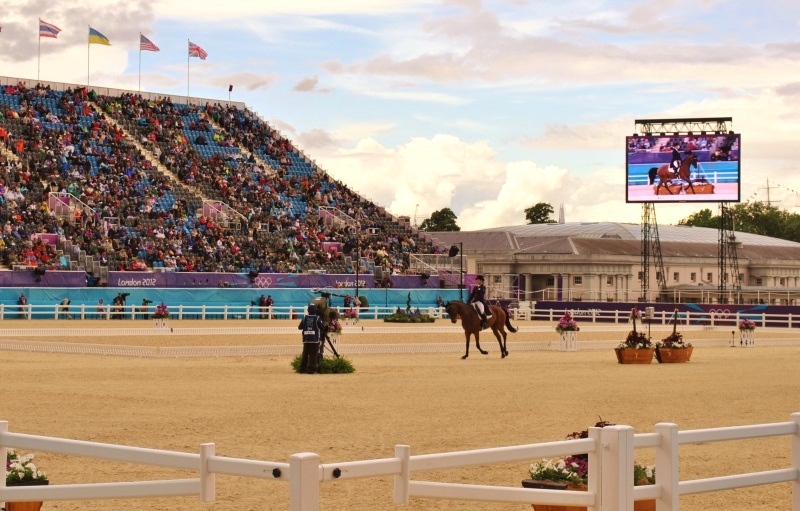 I tried to get tickets to the eventing, but I wasn't quite lucky enough! :( Instead I have spent the past week glued to the TV! I've been utterly hooked ,it's been amazing and team GB have been simply ace .I wish I could have gone to an event anything would do! Ah that's awesome, I went to see Womens hockey earlier this week! That's amazing you got to go down Juliet - jealous! 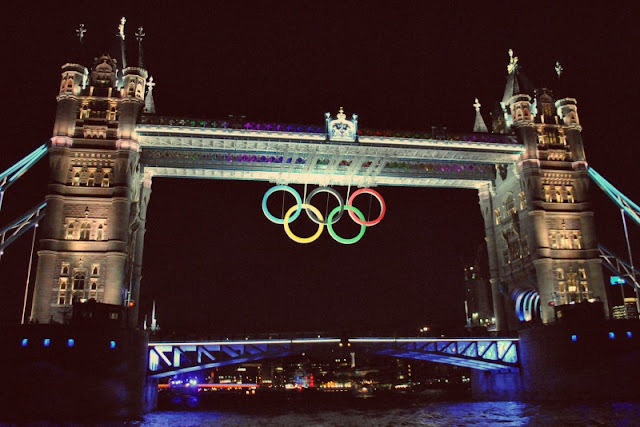 I am loving the Olympics which surprised me as not a sporty person at all but been enjoying watching sports I know nothing about and cheering at the tv!